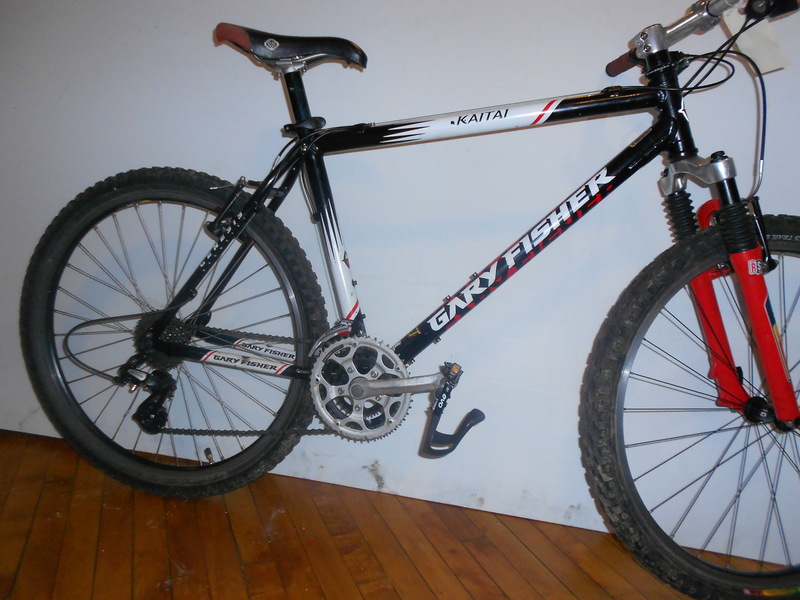 19″ FISHER KAITAI $600 as Fully Serviced and Upgraded! We Serviced the Original Thumb Shifters so their on the money clicking with a New Replaceable Derailleur Hanger, New Front and Rear Shimano Derailleurs, Cleaned and Lubricated everything, New Threadless Headset Cap Nut, Presta Valve Adapter and New Alloy Body Steel Cage Pedals with Strapless Mini Toe Clips so you can Rock the House! This Bicycle model essentailly was priced between $900-$1200 with the Rock Shock Judy Fork and was a pretty cutting edge product Back in the Day!